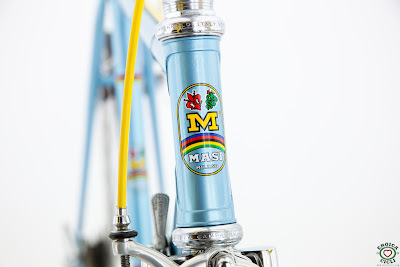 I love Masi bicycles and after you see these images you'll probably get where I'm coming from. 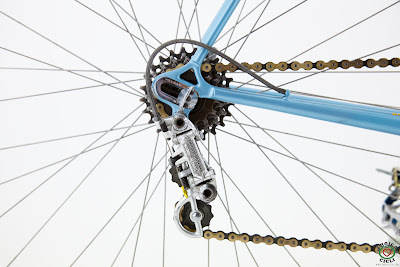 First of all there is little doubt that the sexiest bikes and bicycle components come from Italy. Italian products have always focused on style and design and this love of 'attractive' things is also reflected in their cycling industry. 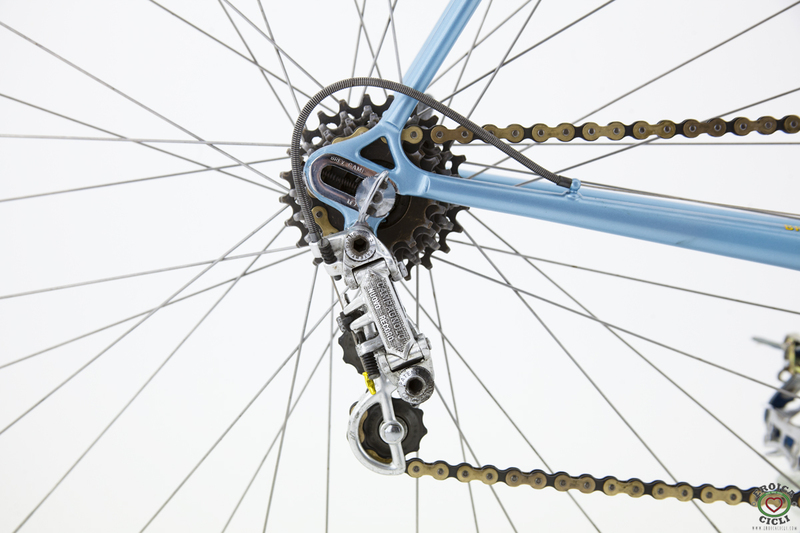 Campagnolo components are typical of Italian style and design. I notice that the 80th Anniversary Campag components have just been released, do yourself a favour and have a look. Just beautiful! 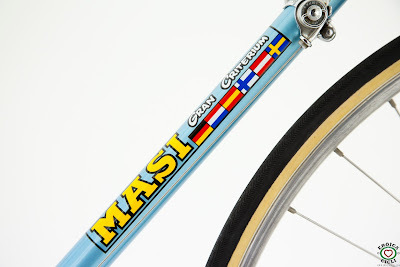 The history of Masi bicycles is quite interesting. 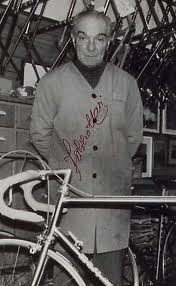 In brief the legendary Faliero Masi (pictured below) started producing bicycles in Milan, Italy, in 1949. He built custom bicycles for the greats such as Fausto Coppi, Felice Gimondi, and Eddy Merckx. Faliero Masi in the workshop. In 1972 the Masi brand was sold to an American company that was known as Masi USA. Although the brand changed hands it still produced beautifully crafted machines in the US. 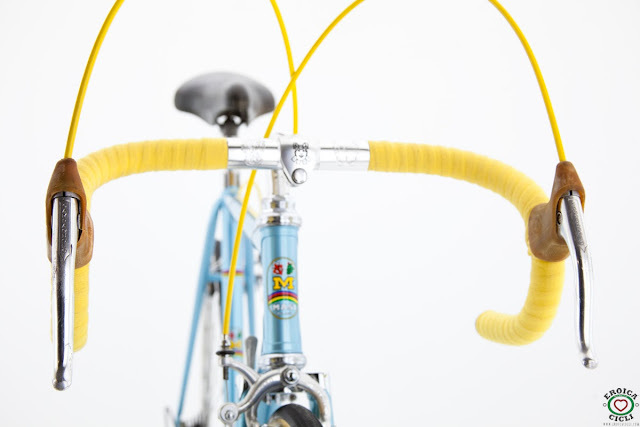 Even though the Masi brand was sold Faliero Masi continued to build bicycles after 1972 in Italy. Whilst doing so he passed his skills of bicycle craftmanship to his son Alberto, who continued in his fathers footsteps. Unfortunately Faliero passed away in 2000. 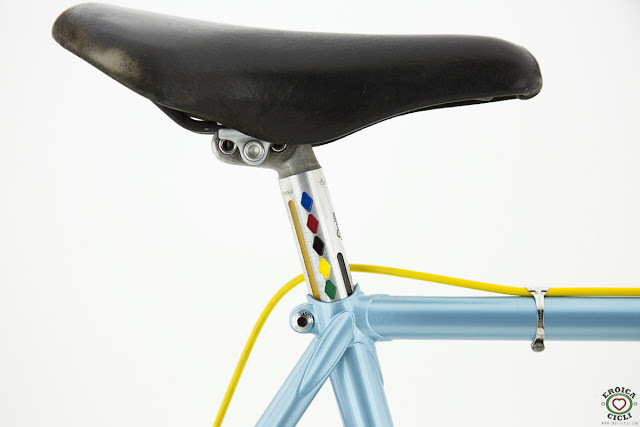 Alberto still continues to make high quality bicycles in Milan, Italy, under the Milano nameplate. 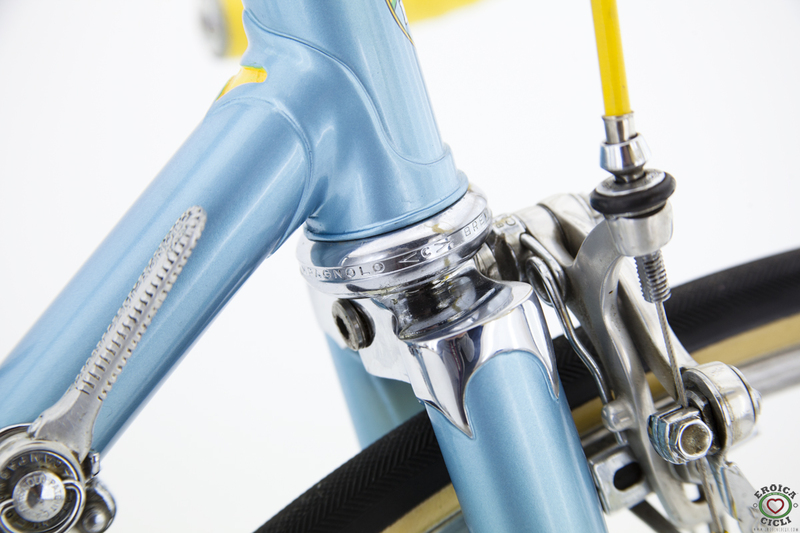 Here are some images of a 1974 Gran Criterium road bicycle built by Faliero. 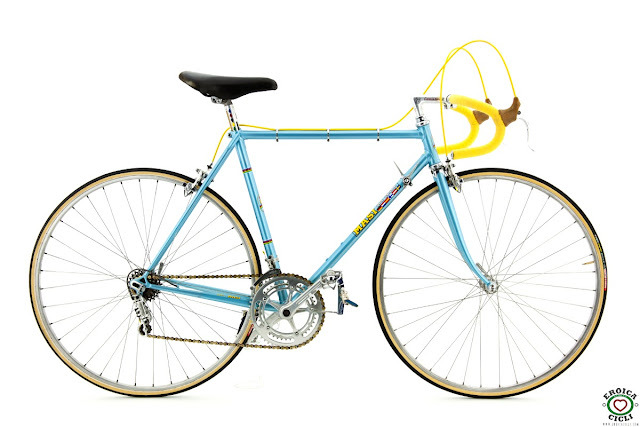 A beautifully restored bicycle with an interesting history. This 1974 Gran Criterium is typical of the era and carries the distinctly recognisable styling of Faliero Masi. 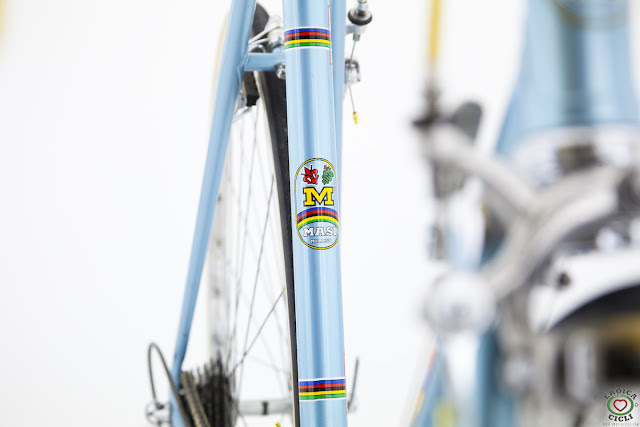 If you're into all things 'E'roica' you'll certainly appreciate this bike and others built by the famous Masi brand. Until next time safe riding. Labels: 1974 Masi, Masi Eroica, Masi Gran Criterium, Vintage Masi. 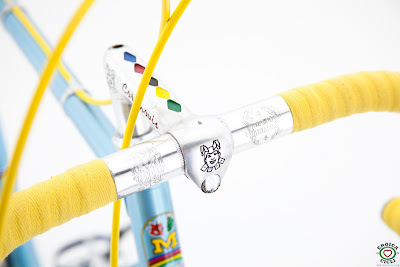 I was doing a search on vintage bicycles and restoration and came across your blog. I have never restored anything in my life but am looking to learn. Failing that to find someone to help me restore a Ricardo bicycle. What is your advice for someone looking to learn? Or would it be better for me to pau someone to restore it? I must say that I am not very handy though I try, I tend to break things. Thanks. Oh i forgot to mention that i am in Perth too. Hi Derrick, have a go...it's easy and its fun! The internet is a great resource when trying to fix or restore bicycles - youtube has almost any video you might need! 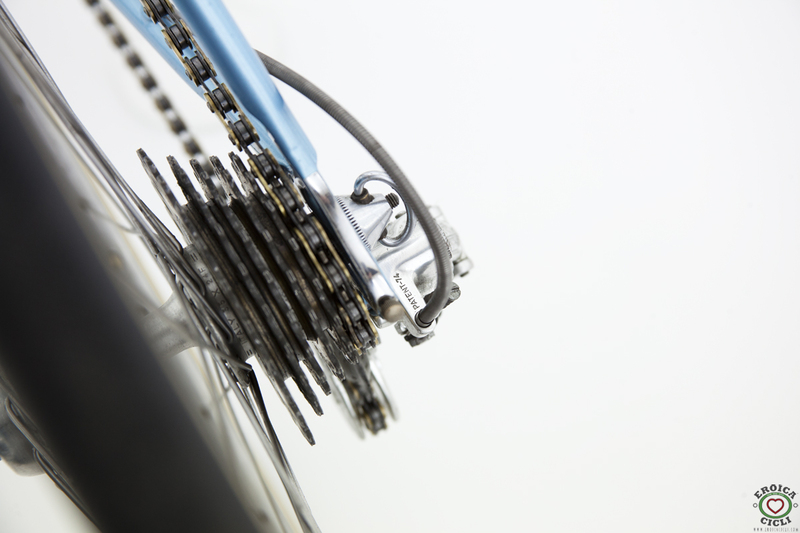 Always take digital images of your bike before you dismantle it, the images will help you remember "what goes where" when re-assembling things. Regards, James.